The Painted Pin offers several unique options to suit all of your party needs. A semi-private event space includes 8 bowling lanes and lounge style soft seating areas and booths equipped with flat-screen televisions and automatic bumpers. In addition to the 8 lane private event side, The Painted Pin has an indoor gaming courtyard perfect for happy hours and cocktail parties. In order to accommodate our many loyal patrons, The Painted Pin does not take reservations for bowling lanes, gaming or soft seating areas. On Fridays, The Painted Pin will accommodate events that conclude by 7:30 pm or full venue buyouts. 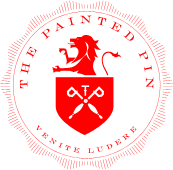 On Saturdays, The Painted Pin will accommodate events that conclude by 4:30 pm or full venue buyouts. Full Venue Buyouts, which can accommodate up to 400 guest, are available 7 days a week. We cannot open before 5 p.m. on weekdays for private events due to our city of Atlanta zoning permit. The Painted Pin is available for full venue buyouts, which can accommodate up to 400 guests. Buyouts are available 7 days a week.